Do you live where you heat? Most of us spend our time at home in a small number of rooms: the kitchen and living room, the bathroom and bedroom. But we also have closets and crawlspaces, guest rooms and garages. ask men Too often, we pay to heat and cool rooms we don’t live in. Zoned heating and cooling systems solve that problem. If your home only has one thermostat you’re probably heating and cooling empty rooms and wasting money. Zoned heating and cooling systems keep a convenient single control panel but add multiple zones for your living, sleeping, working, and cooking spaces. You can control these zones independently, adjusting the temperatures to heat and cool the rooms you live in, the way you live in them. No more wasted energy on those empty rooms, and no more wasted money on your energy bills. 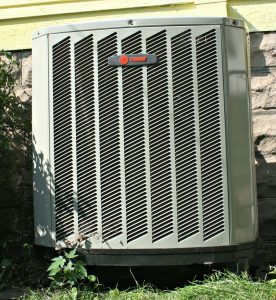 Is zoned heating and cooling the right choice for you? Get your home’s full energy assessment today: it’s fast and accurate and will give you actionable information to take the next step. Click here to use your assessment data and save even more time. Remember when Mom used to tell you to shut off the light when you left a room? Or when Dad told you to put on a sweater if you’re cold? It turns out they were ahead of their time! More and more home energy professionals recommend behavioral energy efficiency as an effective way to lower your home energy costs. Just like Mom and Dad. But what exactly are behavioral adjustments, and which ones are the most effective? To improve the savings rate, Thaler and Sunstein argue, we need to make a small change to the way retirement savings plans like 401(k)s and 403(b)s work. Their solution? Make retirement savings plans opt-out instead of opt-in. “Nudge” folks to save money by making the savings effortless and easy to manage, and we should all begin to save more for retirement. No more worrying about balancing our portfolios, asset allocations, rates of return, or any of the details that can overwhelm us and stop us from taking action. Behavioral energy efficiency nudges work in the same way. If you want to save money on your home energy expenses, the first thing you need to know is where, exactly, is your money going? The average American family spends more than $2,500 each year on home energy. But that doesn’t all go to the light bulbs burning in empty rooms, or the teenager standing in front of an open refrigerator. Go green and save some green! Home heating and cooling, along with domestic hot water (DHW), account for the lion’s share of your home energy bills. That means that controlling home energy costs begins with understanding those costs. Our Heating Energy Assessment Tool uses home performance data from your utility bill to show you your exact heating, cooling, and DHW costs down to the penny. Now that you know these costs, you can nudge yourself and your family in the right direction. Maybe a programmable thermostat is right for you, or you’d like to try replacing your 3 most frequently used incandescent light bulbs with CFL or LED bulbs. Your utility company or state government might have weatherization incentives available, so that you can take advantage of professional air sealing and weather stripping work. A RESNET or BPI certified home performance contractor can work with you to complete a whole house energy audit and plan home improvement projects to maximize your savings and your comfort. Because how you live affects how you use energy, it can be easy to start saving money today. There are tools, professionals, and incentive and rebate programs available to help you. And at the very least, we can remember Mom, and turn off the lights in an empty room. Demand response is a new way for utility companies and co-ops to deliver power to customers. It has the potential to significantly change the way customers and utilities work together. 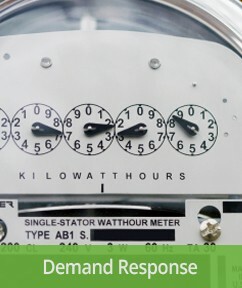 So what exactly is demand response? Pretty much what it sounds like! Demand response is a way for utility companies and co-ops to more efficiently deliver electricity to homeowners, based on how much electricity is in demand at any given time. Peak demand in the home is in the morning, when we’re all getting ready for work and school, and in the evening, when we all come home to fix dinner, do our household chores, watch TV, or have the neighbors over for a visit. It’s common sense: when we’re at home we demand more electricity from our utility. When we’re not at home, that level of demand drops. We might only have the HVAC system on, and the usual appliances and electronics humming along in the background. Demand response helps utilities balance that peak demand in the morning and evening with the lower demand in the afternoon and late at night, when we’re out of the house or asleep. Demand response programs may be offered by your utility company or co-op. Check out those inserts in your next utility bill! You may be eligible for real savings every month, just by using your dishwasher and laundry machines in times of lower power demand. Your utility might also offer you “time-based rates,” which can be more or less expensive, per kilowatt-hour, based on the time of day and the demand on the utility’s power generation capabilities. Most time-based rates (they’re also called “peak pricing,” “variable pricing,” “real time pricing,” or similar names) follow the basic law of supply and demand. When demand is high, in the morning and evening, prices are a little bit higher. When demand is low, in the afternoons and late at night, prices will be a little bit lower. Utilities offer demand based rates to encourage you to use your major appliances, like your dishwasher and laundry machines, at the low-demand times of the day. This can be a win-win situation. . Your utility wins, because they save wear and tear on their equipment. You win because you save money on your electricity costs by using your major appliances in those lower demand times of the day. What’s next for demand response? The electric power industry considers demand response programs as an increasingly valuable resource option whose capabilities and potential impacts are expanded by grid modernization efforts. For example, sensors can perceive peak load problems and utilize automatic switching to divert or reduce power in strategic places, removing the chance of overload and the resulting power failure. Advanced metering infrastructure expands the range of time-based rate programs that can be offered to consumers and smart customer systems such as in-home displays or home-area-networks can make it easier for consumers to changes their behavior and reduce peak period consumption from information on their power consumption and costs. Demand response programs are created and managed by utility companies and co-ops. But homeowners, renters, and landlords who choose to participate in utility programs will find real benefits, including saving money on their electricity bills every month. Upgrading your home’s windows and doors with newer products can increase your home energy efficiency, and make your family more comfortable year round. But what products are right for your home? Energy Star rated windows use transparent low-E (low emissivity) coatings to improve the insulating properties of the glass. Better insulation means less heat escapes in the winter, and less cool air escapes in the summer. When a professional replaces your windows and doors he will also replace the air sealing around the frames, helping to keep your energy costs down and your comfort level up. Are upgraded windows and doors the right choice for you? Get your home’s full energy assessment today: it’s fast and accurate and will give you actionable information to take the next step. Click here to use your assessment data and save even more time. Air sealing is one of the most important – and effective – steps you can take to make your home more energy efficient. 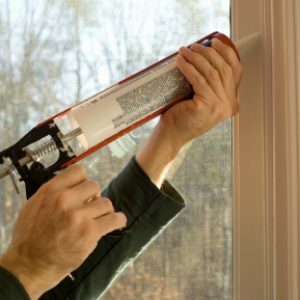 One easy do it yourself project is air sealing with caulk. 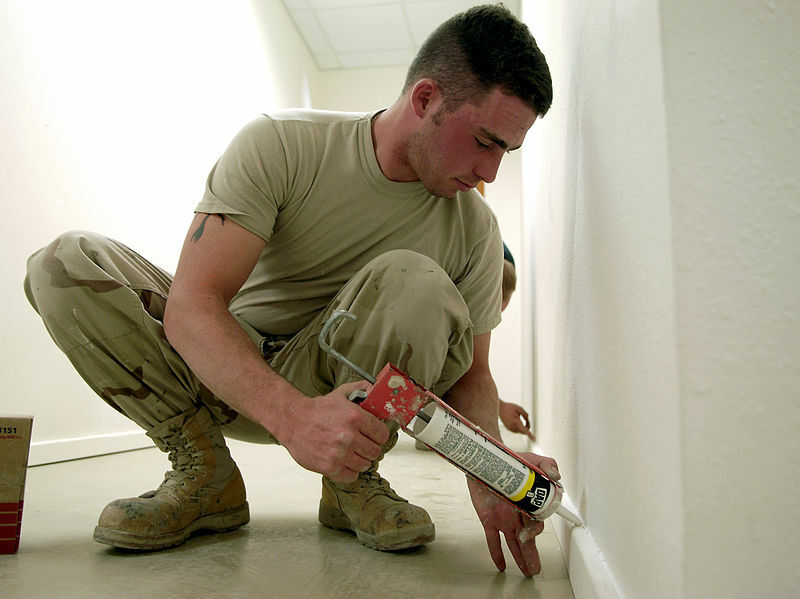 Caulk is a flexible sealant applied over joints and gaps in your home: between your shower and the floor, for example, or between the window frame and the window. When you seal these spaces you keep air from leaking outside your home, and your HVAC system doesn’t have to work as hard to keep your rooms at a comfortable temperature. Is air sealing with caulk the right choice for you? Get your home’s full energy assessment today: it’s fast and accurate and will give you actionable information to take the next step. Click here to use your assessment data and save even more time. Have you ever noticed a draft in your house, especially around the windows and doors, or the baseboards? These drafts are caused by air moving from one part of your home to another. That means your heated or cooled air is leaking out, costing you money on your energy bills every month. . How can you stop air leakage? Air sealing is one of the most effective home improvement projects for increasing your home’s energy efficiency, and making your family healthier and more comfortable. Reducing air leakage between the inside and outside of your home will keep warm air inside in the winter, and cool air in during the summer. Effective air sealing may also keep moisture, insects, and pests from invading your home. When you seal these spaces you keep air from leaking outside your home, and your HVAC system doesn’t have to work as hard to keep your rooms at a comfortable temperature. Is improved air sealing the right choice for you? Get your home’s full energy assessment today: it’s fast and accurate and will give you actionable information to take the next step. Click here to use your assessment data and save even more time. Solar water heating and solar domestic hot water systems let you heat your home’s water using the sun. These systems include solar collectors and water tanks. They can be active or passive. 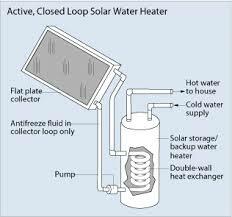 Active solar water heaters use pumps to circulate water through the solar collector and into the storage tank. Passive solar water heaters use a tank inside the solar collector to feed a storage tank in your home. Is solar water heating the right choice for you? Get your home’s full energy assessment today: it’s fast and accurate and will give you actionable information to take the next step. Click here to use your assessment data and save even more time. 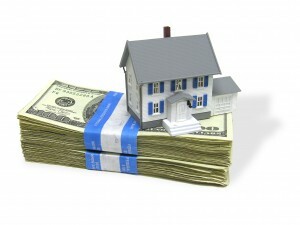 Want more ideas on how to save money on your home energy costs? Just It’s full of the information and ideas you need to make your home less expensive to operate and more comfortable – and healthier – to live in. Midja design gör detta till synes spets balklänning så speciellt Våren är på väg ,: vi väljer balklänning stilar har ändrat den, liksom alla typer av klänningar. Du kan bära vackra klänningar, genom övning. Du kan också se några fina artikeln klänning. Forget the massive solar arrays of the 1970s. Today, your neighbors are using attractive and efficient solar photovoltaic systems to power their homes, store power for emergencies, and even sell their surplus power back to the utility company. Solar photovoltaic systems convert the sun’s rays to electricity. This electricity can be used immediately to power your home, or in systems with battery storage it can be saved for future use. Solar photovoltaic systems are among the most developed home energy efficiency products. Depending on your home’s location and your needs you will have an array of choices for your system. Is a solar photovoltaic system the right choice for you? Get your home’s full energy assessment today: it’s fast and accurate and will give you actionable information to take the next step. Click here to use your assessment data and save even more time.